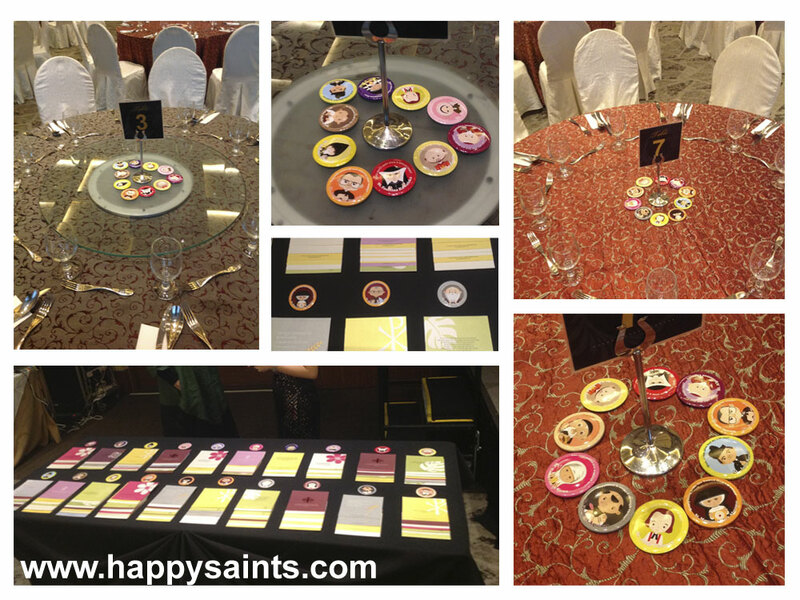 Happy Saints badges turned glamorous table centerpieces at a recent banquet event. Of course, the guests got to bring home the badges, together with an accompanying card with a special message! You can make your own Happy Saints table centerpiece by either printing out your own badges using artworks from Happy Saints eBooks or buying them from the gift shop.